Saturday's crash of a stretch limousine in Schoharie, New York was the deadliest road accident in the United States in more than 13 years. 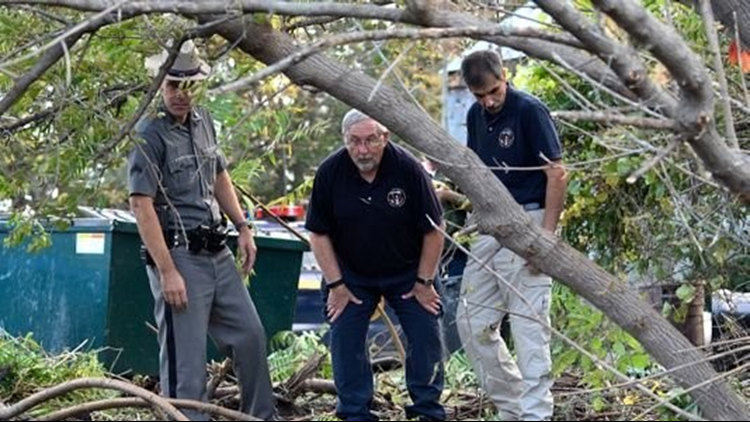 Saturday’s crash of a stretch limousine in Schoharie, New York, killed all 18 people in the limo and two pedestrians, making it the deadliest road accident in the United States in more than 13 years. Here are 10 other highway accidents that claimed 20 or more lives. Sept. 17, 1963: In the deadliest motor vehicle accident in U.S. history, a makeshift bus carrying 58 migrant workers was struck by a freight train outside Chualar, California, killing 32 workers. May 21, 1976: Twenty-eight students and a teacher died when a bus carrying the Yuba City High School choir plunged off a freeway ramp near Martinez, California. Aug. 4, 1952: Two Greyhound buses collided south of Waco, Texas, killing 28 people, including several soldiers and airmen. Feb. 28, 1958: A bus carrying 48 elementary and high school students in Prestonburg, Kentucky, went off the road, down an embankment and into a river, where it submerged after being swept downstream. Twenty-seven died. May 14, 1988: A church bus returning from an amusement park collided head-on with a pickup truck near Carrollton, Kentucky, killing 24 children and three adults. Sept. 23, 2005: Twenty-three people died when a bus ferrying nursing home residents away from Hurricane Rita caught fire and exploded on a gridlocked highway south of Dallas. May 9, 1999: A bus heading to a casino in Bay St. Louis, Missouri, just across the Louisiana line, ran off a New Orleans highway on Mother’s Day, killing 22 people. Investigators said the driver was impaired by several medical conditions and use of marijuana and an antihistamine. Sept. 21, 1989: A school bus collided with a soft-drink truck and fell into a water-filled pit near Mission, Texas, killing 21 students and injuring 60. May 30, 1986: Twenty-one passengers died when a speeding Starline Sightseeing Tours bus crashed in a canyon near Walker, California, on the return trip from a Nevada casino to Santa Monica. June 5, 1980: A tour bus carrying mostly senior citizens from Dallas to Branson, Missouri, Plunged into a 40-foot ravine near Jasper, Arkansas, killing 20 and injuring 13.